This is the Tekin 30 Turn Pro Hand Wound Rock Crawler Motor. Tekin's Pro Hand Wound Brushed Crawler Motors are raising the bar with the release of the 30 and 40 turn versions. 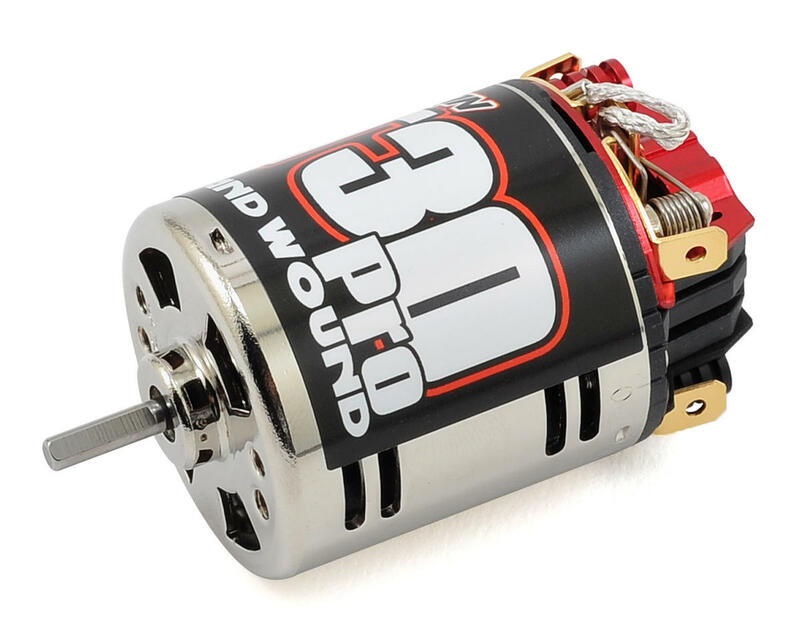 Perfect for all aspects of Rock Crawling, these Pro Hand Wound motors give you the punch or the creep when and where you need it. The lower turns give you that increase in wheel speed many are looking for in todays setups, whether crawling the rocks or hopping over them. 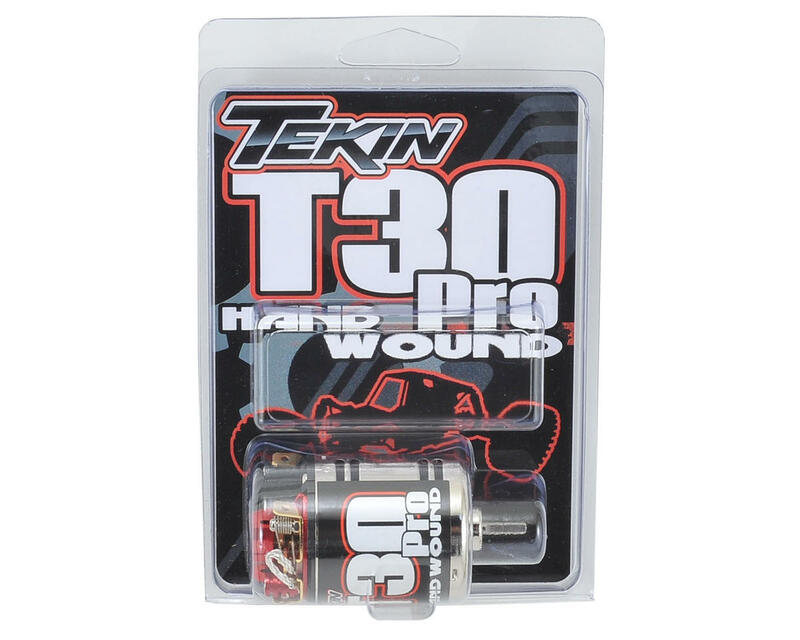 Using the same Larger Comm, Lay Down Brushes, Precision balanced hand winds as Tekin's previous trail proven pro motors the Tekin Pro Hand Wound T series motors are ready to get the job done.